DISCOVER HOW TO MAKE YOUR CHILD PHYSICALLY AND MENTALLY STRONGER IN JUST 4 MONTHS! We all want the best for our children and there is no other sport that will give your kids great manners, fitness and focus like realistic Martial Arts training will do. Choose our quality New Junior Students Martial Art programs and we will teach your child how to behave AND how to actually defend themselves. You will find, like countless other parents, that ONLY FUNCTIONAL MARTIAL ARTS SKILLS will teach your child FUNCTIONAL CHARACTER TRAITS! Our Brazilian Jiu-Jitu program (age 3 and up) and our famous R.E.A.L. Martial Arts program will give your child a healthy lifestyle and the focus to be successful this school year and beyond. R.E.A.L. stands for Realistic Educational Martial Arts Learning. This scientific program will teach your kids good behavior and the skills to life healthy. We will help them built their MENTAL and PHYSICAL STRENGTH. We will teach them DETERMINATION to stand up for themselves and to go after their goals and we give you a 30 DAYS SATISFACTION GUARANTEE so you can be sure that we deliver! To arm your child to succeed in school? To help them learn to live a healthy lifestyle? To help them develop the best manners? To teach them how to stay safe and unharmed? W e all try to teach these things to our children but with our busy lives sometimes we need some help. The time that kids spend after school and home work are some of the most important hours in a child’s life. How is your child spending their time? Between the 1st and 7th grade a child spends thousand of hours unproductive. This time is more valuable than you know. Wouldn’t it be great if some of this time would be used to learn about successful character traits that will pay off for the rest of their lives? 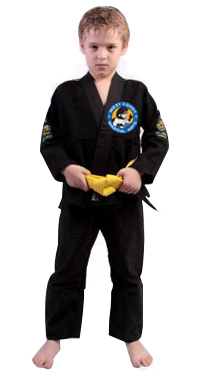 Remember, our Martial Arts program is not a sport: IT IS AN EXTENSION OF SCHOOL!The R.E.A.L. program consists of Kickboxing and Brazilian Jiu-Jitsu (also called the “Gentle Art”). Students who train with us are a step up on others because they learn about perseverance, positive mental attitudes, self discipline and goal setting and how to develop them to their fullest! Your Child has probably already played some soccer, hockey or other team sports and you may have wondered watching them from the sidelines how these sports will help your child to develop strong character traits, great manners and what they will learn about self-defense other than trying to run away.Did you know that Martial Arts are 10 times more effective than team sports in building your child’s self esteem and confidence?Our R.E.A.L. Martial Arts program will help your child to grow more confident while building his/her endurance and determination helping your child succeed in school every day. But more than this, we will also teach your child how to stand up for themselves against bullies and defend themselves when necessary. Brazilian (BJJ) or Gracie Jiu-Jitsu is called the Gentle Art because we do not punch or kick back when attacked. Instead BJJ allows a smaller person to defeat a larger and stronger attacker by using leverage and technique to subdue him effortlessly! Your child’s confidence and self esteem will go up Just twice a week is all it takes and within a few our programs will child will change. Your child will behave better and be calmer in school. Kids need a safe place to live out their emotions while learning to put them towards something worthwhile. Your child spends every second of it’s time well. We are using a carefully designed curriculum that maximizes the class time. You child will be healthier! Martial Arts are a great way to loose weight and makes up for all the idle hours in your child’s day. Your child will learn manners!We teach 24 great manners to the kids all year around making sure they behave well at all times. I started training in Martial Arts when I was nine years old and since I moved to Canada from Germany I spend years training with the best Martial Artists in the world. I traveled all over North America as part of my corporate job teaching people using my experience and my college teaching diploma. I learned that it takes a great club atmosphere and a professionally designed curriculum to learn realistic Martial Arts like Brazilian Jiu-Jitsu, Muay Thai Kickboxing and Mixed Martial Arts fast. It simply does not matter how many techniques the instructor knows or what an awesome fighter he is. It takes well trained instructors that teach well designed classes knowing how to push the students without getting them injured. I created West Coast Martial Arts to allow everyone who wants to to learn these Martial Arts to get in great shape quickly and to find a new lifestyle! The gym has to offer realistic Martial Arts. If the students are faking it by punching holes in the air or have weapons training you know right away that they are not learning a practical Martial Arts that will keep your child safe when bullied. The gym has to offer hands-on sparring classes with fully resisting opponents. The opponents can’t just stand there and both students can’t be just practicing Katas. Only real training will result in real character development. The training atmosphere has to be friendly and not too competitively. There has to be a firm structure in place to keep the training positive and safe but the instructor cannot be negative and mean. The gym has to have a proven competition record. If they are loosing a lot or if they are just going to their own events to compete among themselves, your child is training with the wrong team regardless if he or she wants to compete or not! West Coast Martial Arts is a very different kind of club. We look after our students from the moment you contact us first. 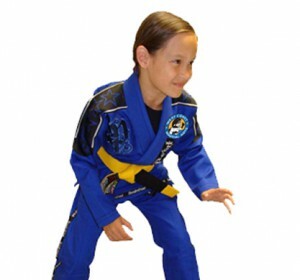 With us your child is training in the same place as many members of the local law enforcement and he/she will get 100% Martial Arts instruction without being bored with endless push-ups. Our students are respectful and look out for each other in a great training atmosphere. We do not tolerate any students that are involved with drugs, steroids or gangs. That way your child can train with us safely and receive excellent technical instructions and guidance to develop into a positive, successful adult! So don’t wait any longer and get your child started with the training! Support them and allow them to learn REAL Martial Arts to bring out the will and perseverance in your child while making new friends that share his/hers new successful, healthy lifestyle for years to come! If you’re still not 100% sure that we can deliver all of this for you, let me put you at ease with my unconditional guarantee… If you sign up for any term membership and you are not satisfied in the first 30 days or do not think that we are doing everything we promise you can simply cancel your membership without any penalty! It’s that simple. 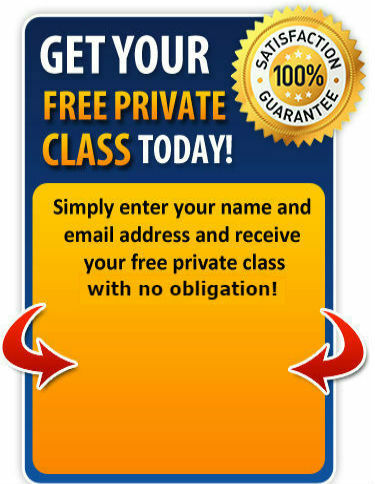 Complete the opt-in form on the right to arrange for your child’s private class. We will give you a tour of the gym, an introductory class and get to know you and your child to see if our club is right for you. You can also ask any questions regarding memberships and training at that time. There is no obligation or equipment needed. Don’t miss this chance, take advantage of our special offers this month. If you still have questions please call 778-836-7473 today! How do I get my child ready for class ?Bring lots of water or other fluids your child is used to and do not let him/her eat any heavy meals or junk food within two hours of any class. Please make sure that he/she is wearing tight fitting clothes and pants that will cover their knees if possible. They don’t need any equipment the first month but make sure that all jewelry is removed before class. Do you have more questions?Great, if you want to talk to us regarding training please call Student Services at 778-836-7473. We are here to help you and we are more than happy to answer any question you may have. You can also contact me directly anytime by e-mail at info@jiujitsulife.com.